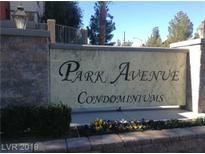 Below you can view all the condos for sale in the Park Avenue subdivision located in Las Vegas Nevada. Listings in Park Avenue are updated daily from data we receive from the Las Vegas multiple listing service. To learn more about any of these condos or to receive custom notifications when a new property is listed for sale in Park Avenue, give us a call at 702-323-5939. Open Floorplan, Guard Gated, community gym, pool and unit comes with separate deeded garage stall. MLS#2089505. Simply Vegas. Open Floorplan, Guard Gated, community gym, pool. MLS#2089819. Simply Vegas. Open Floorplan, Guard Gated, community gym, pool. MLS#2089820. Simply Vegas. Guard gated community, pool/spa, clubhouse, exercise room , tennis courts. MLS#2089449. Realty ONE Group, Inc. Secure building that requires Key Fob for access. MLS#2089319. Compass Realty & Management, L.
Enjoy Resort Style Amenities In Park Avenue Featuring Tennis, Pool, Fitness Center, Clubhouse, Sauna And 24 Hour Security. This Is An Incredible Value! ! MLS#2088129. Award Realty. Enjoy Resort Style Amenities In Park Avenue Featuring Tennis, Pool, Fitness Center, Clubhouse, Sauna And 24 Hour Security. This Is An Incredible Value! ! MLS#2088227. Award Realty. **beautiful Furnished Unit**long Term Tenant**upgraded Kitchen And Bathrooms**60 Inch Led Smart Tv In Living Room**60 Inch Tv In Master Bedroom**elite Exercise Room**pool And Spa**tennis Court**guard Gate**underground Assigned Parking**elevator** MLS#2086920. Kokomo Real Estate LLC. Close to freeway access and minutes to the Las Vegas Strip & New Stadium!! Unit ADA compliant. MLS#2085159. Purplebricks Inc.
Great location near shopping, restaurants, and freeway access. MLS#2075522. Resolution Realty. Fabulous amenities include indoor/outdoor pool/spa, fitness center with sauna, tennis courts all located within this well kept & secure guard gated community! MLS#2072364. HomeSmart Encore. Underground parking, across from fitness center and pool. MLS#2070590. Win Win Real Estate. Very Nice Freshly Painted 2 Bedroom & 2 Bath Fourth Floor Corner Condo Unit*high Ceilings*wood & Carpet Flooring*underground Parking+one Outside Assigned Parking Spot*elevator To Fourth Floor*24 Hour Guard Gated Community With Complete Clubhouse & 2 Pools And Gym. MLS#2067268. Aloha Properties. 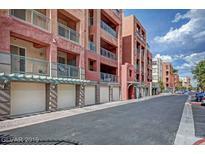 This condo is conveniently located to all nearby community amenities. Move in ready!!! ! MLS#2059498. Realty ONE Group, Inc.
1 car garage, 1 car underground parking space, and 1 car driveway space inclded. A MUST SEE! MLS#2056006. Simply Vegas. Nearby to community clubhouse which features pools, exercise room, and more. MLS#2042815. Platinum R.E. Professionals. Community pools, spa & state of the art fitness center. Assigned underground parking. MLS#2029802. Windermere Anthem Hills. Call to tour this home today! MLS#2029458. O48 Realty. Development Features Guard Gated Entry, 24/7 Security, Two Pools, Sauna,Two Floor Gyms, Fitness Center, Tennis, Gorgeous Complex!! ! MLS#2024552. United Realty Group.